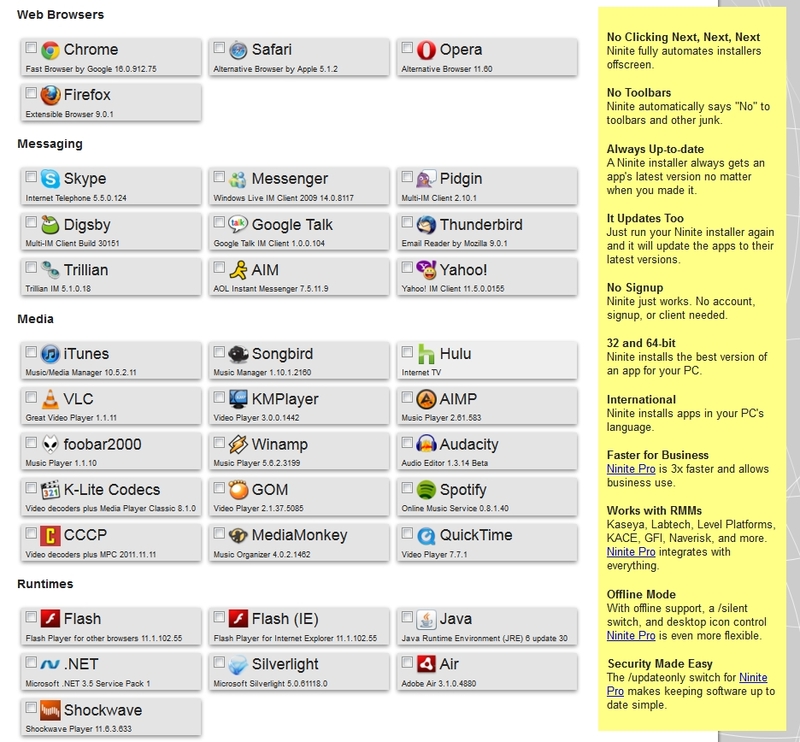 If you regularly find yourself installing and upgrading software, I highly recommend you take a peep at Ninite, a great little online service-come-software tool for managing this process completely hands free. To get up and running, first you’ll need to visit ninite.com and select all the software packages you wish to include in your custom installer. 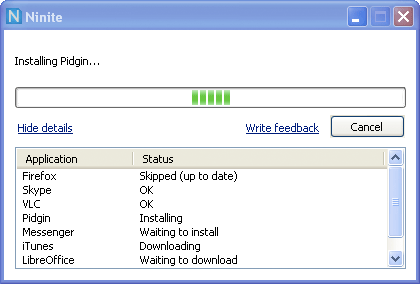 Once you’ve selected the programs you wish to install or upgrade, you’ll be prompted to download a single .exe file. Its then simply a case of running that file on any of your target PC’s, and without further prompts, Ninite will go and collect the latest version of the required software (checking to see if an update is required if previously installed) and then proceed to run through an entirely hands free installation. Also available are a set of useful command line options so Ninite can be used to check for updates automatically upon start up if required, however some of the more powerful features are only available in the “Pro” version. In its basic form Nlinite is a simple concept but great if you need a quick and easy solution to install or upgrade a range of software tools at once. If you need a more powerful solution to manage software across a room full of PC’s, I’d say the paid-for option is definitely worth a closer look. I hope you find Ninite useful at some stage, and don’t forget, if you’ve come across any free utilities you’ve been particularly impressed I’d love to hear about them so feel free to keep using that comments box!